Gooding & Company now has 77 vintage and modern collector cars for its 3rd annual Amelia Island Auction. With the Drendel Family Collection and their stellar taste in turbocharged race Porsche's. Reports are suggesting record breaking sales for 2012. The top cars in Amelia is include Porsche 917/30 CanAm Spyder, Porsche 935/76, a 1955 Porsche 550/1500 RS Spyder, Ferrari 212 Inter Coupe, a V8 Fiat, and many other race cars of true legacy. As the Seventies started with a 5 liter engine car, it didn't last long and regulation only allowed 3 liter engines. 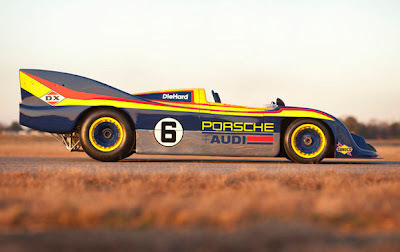 The 917 could compete no more, until Porsche went over to "Canadian-American Championships" know as CanAm championships. The team followed the new regulations and then some, by adding two exhaust turbochargers for the first time to put the power all the way up to 850hp which was a great success. But later, the car evolved into an 1100hp monster on a 5.4 liter engine from a 12 cylinder boxer, air cooled piece of art. Which is why this car is suggested to bring $3,250,000-$4,000,000. 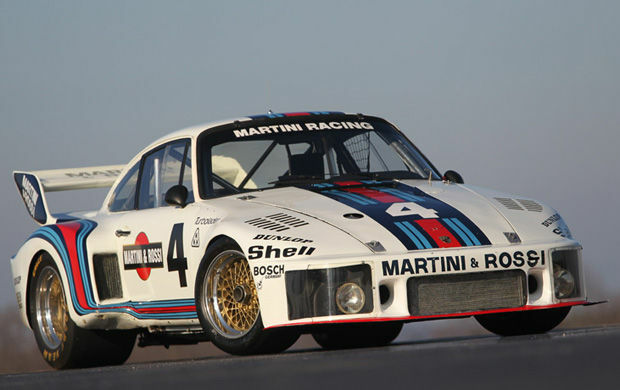 The 1976 Porsche 935/76 chassis 935-001 is running across the block as it is the first 935 ever built on the first 930 chassis. Factory prototyping and testing for development work was the key factor in Porsches ideas in this car. This unrestored group 5 racing Porsche was design by engineer Norbert Singer who took the relaxed regulations and changed the outer body work drastically, and half way through the 76' season, relocated the front headlights to the Flachbau or Flatnose design. This car is reported to bring $1,700,000-$2,00,000. 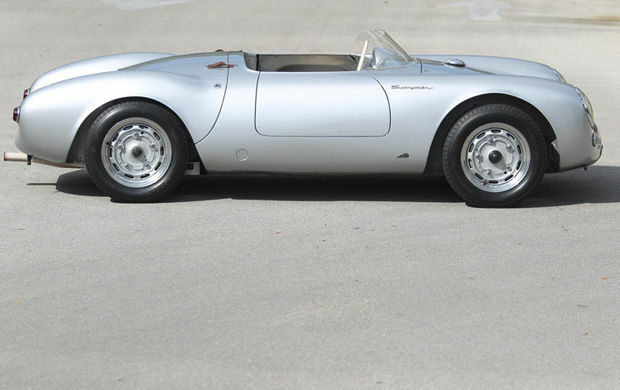 The Porsche 550 is my favorite pick of the auction this week. Style could not scream any louder when driving this car. The sleekness of the fenders on this two seater, while nothing has been restored, make this gem running for $2,200,000-$2,600,000. 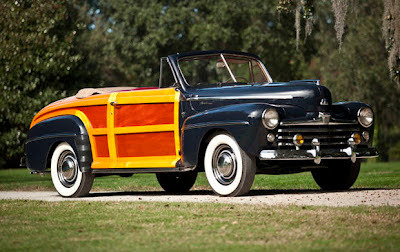 This restored beauty is the example of a "High Class Woody." Haha I am just kidding, but this is something Ford did right. With the classic white wall tires, and the point nosed hood, you and your honey could really use a stroll in this elegant Ford. Check back for more on the Good & Company auction in Amelia Island at the Racquet Park within the grounds of the Omni Amelia Island Plantation. Tickets are only $30 to the public but auction catalog admits two to the viewing and auction. The Previews will be held Thursday, March 8th from 9am to 6pm. The auction is held Friday, March 9 from 9am to 11am.